A common question I am often asked is “what treats can I give to my chickens?” There are of course no end of tasty greens that you can give to your girls that they will enjoy. 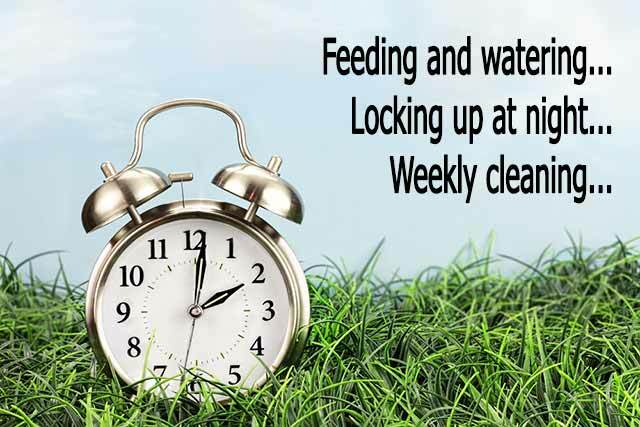 Even a bucket load of weeds from the garden are a treat as they will scratch their way through them, sifting out the best bits, however if you would like to provide some really tasty treats that will help to tame your chickens to come to you when you want then insects or mealworms are very popular. Peas are also a firm favourite for my girls, they are cheap and fresh. You can also defrost a handful of peas quickly by dropping them into some hot water for a few minutes. The problem is that since I originally wrote this page in 2011, DEFRA banned the feeding of mealworms to chickens producing eggs for human consumption (in 2014, also see my page on animal by-product regulations). Many people continue to feed them, maybe because they don’t know about this rule, or maybe they feel they won’t cause any harm. Hens absolutely love them, so if you do decide to feed them, at least be aware that it is illegal and understand the reasons why. Mealworms are usually produced abroad and imported into the UK. To produce them, animal protein can be used. Following BSE and foot and mouth disease (which were both caused by feeding animal proteins back to animals, spreading disease) DEFRA decided that products containing animal proteins should not be fed to chickens. I have noticed that the dried insects that you buy online are usually Gamma Irradiated & ozone sterilised so they are often stated as being pathogen free but I couldn’t tell you if that’s safe or not. Mealworms are not currently inspected / certified as being free of ingesting animal proteins which I believe is why there is a ban. Whilst on holiday in France, I was curious to see that the rules seem to be different (or companies are not following them?) so for our readers in France, there are mealworms marketed specifically for chickens on the shelves of many pet stores. Anyway, just so you know, the rest of this page was written before the rules changed. 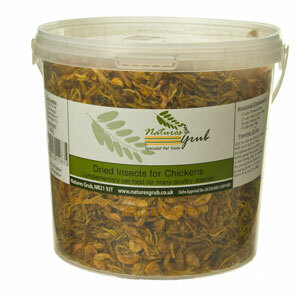 Small insects can be added to your chickens feed or they can be fed to them by hand. As you will see when your birds free range around the garden, they will eat any insects that fly or crawl close enough! Insects provide essential amino acids required for good health. The insects you can buy have been dried so will keep a long time so you can use them from time to time as healthy treats for your birds or to tame them and hens absolutely love them. They can be scattered around the run to encourage natural foraging. If you are using these with young birds, soak them in water first to make them easier to digest. 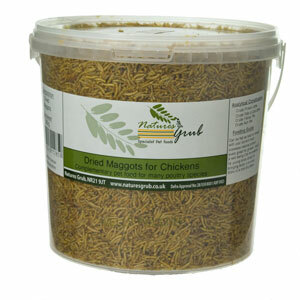 Dried maggots can be fed as treats for your chickens. They are high in fat and protein and provide lots of essential amino acids for your birds. 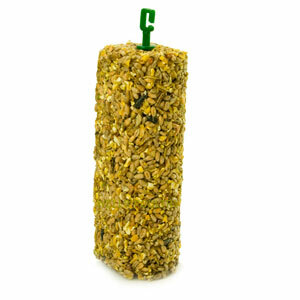 As well as being a treat, they are useful to have in stock for birds that are underweight, growing (due to their high protein / fat content) or recovering from illness. Dried maggots keep for a long time and can be fed mixed with feed, scattered in the run to encourage foraging or soaked before use if feeding younger birds. Mealworms are the larvae of a beetle which feed on vegetables. Dried mealworms are probably the most popular treat that chicken keepers use to tame their birds. 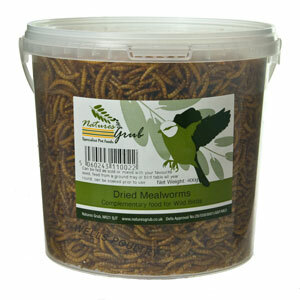 Mealworms are high in protein, contain vitamins and high grade edible oils. Mealworms that you can buy dried will (like the other insects) keep a long time and can be scattered around the run to encourage natural foraging. Again, if you are using these with young birds, remember to soak them in water first to make them easier to digest. 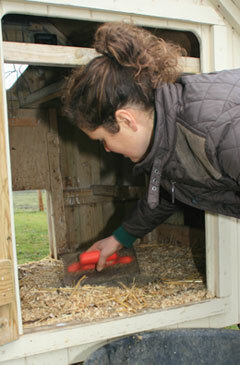 ‘Occupational Health’ for chickens! This is another nutritional treat but this time one that can be useful to use as a boredom buster. Chickens may start feather pecking if they are bored in a run during the day. Feather pecking is a difficult vice to cure but often if you have treats like this peck-a-block hanging in the run and you scatter insects in the morning and a handful of mixed corn per bird (called ‘scratch’ in the US) to encourage foraging, you can often stop feather pecking that occurs through boredom. The pecking block contains a mixture of insects, grains, seeds and herbal extracts. It is a complimentary Poultry Feed that provides long lasting stimulation for chickens and again, helps with boredom in the run. 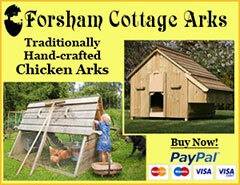 They are very reasonable priced at only a few pound so several can be kept in stock and added to the run as required. 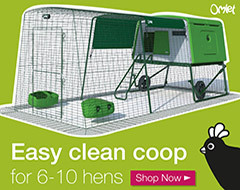 Amazon have a complete range of reasonably priced insect treats in various sizes that are suitable for chickens available from a number of different sellers. You can see the complete range here on this page. Chickens love fresh peas or thoroughly defrosted frozen ones and melon, cut it in half and let them peck it out of the rind, it keeps them happy. They also love strawberries but only give occasionally. I give them the ones the slugs have chewed and they eat the slugs as well, extra protein. I am glad to have found this web site. Most of the information on the net is from America. We have only had our hens for about six weeks and are looking for some treats for them. 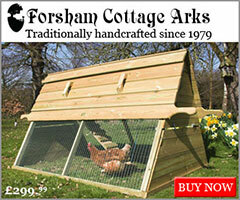 I understand DEFRA have put a ban on feeding hens mealworms as the mealworks are imported and fed on animal products. We’ve been told not to feed the hens on slugs and snails as they contain parasites that can make the hens ill. Is this true? Although, if they are free range, they will be eating them anyway! There is so much conflicting information and it is difficult to know what is right. Yes, Mealworms, whilst loved by hens are technically not supposed to be fed to hens. Slugs and snails can act as an ‘intermediate host’ for certain poultry worms. So the cycle is hen dropping contains worm eggs, slug or snail eats some of this and the worm eggs develop, then hen eats slug or snail and the eggs hatch into worms inside the hen. If there is a worm problem, slugs and snails aren’t helping but on the positive side, there isn’t often a worm problem unless your flock is kept on the same ground for a while. 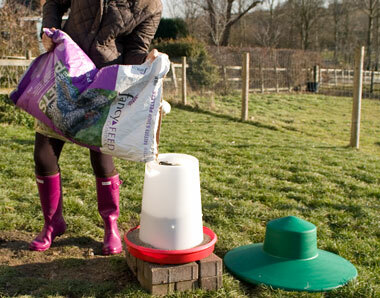 You can test for worms these days with worm count kits to see if you have a problem.